Providing you the best range of hydraulic special purpose machine, industrial special purpose machine and automation special purpose machine with effective & timely delivery. Due to a updated infrastructure for trouble-free processing & post-production, we are instrumental in presenting quality assured Hydraulic Special Purpose Machine. 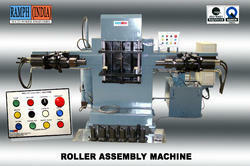 Our presented machines are manufactured under the direction of competent engineers with vast experience in this domain. The whole range is well designed from quality approved basic stuff and advanced technologies. These machines are extensively demanded among patrons for their indispensable features. Amidst our wide range of industrial machines, we are also involved in presenting a wide range of rugged designed Industrial Special Purpose Machines. In order to make sure quality of these machines, our team of experts examines the whole array on assorted parameters. Except with this, we provide our whole range in different provision, in order to meet speckled needs of patrons. 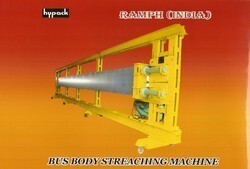 Additionally, these machines are highly acknowledged for their long lasting performance among our patrons. 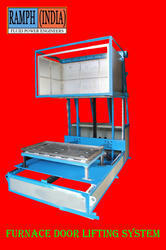 With firm commitment to quality, we are presenting for our patrons a vast range of Automation Special Purpose Machine. These presented machines are manufactured by the qualified experts employing contemporary technology to make sure their quality. Our honoured patrons can get these machines in assorted provision according to their needs. Additionally, the presented range can be modified according to the requirements of our patrons.